Dealing with the death of a loved one is difficult enough without the stress of arguing with insurance companies over life insurance benefits. Unfortunately, while your loved one may have had a policy in place through his or her employer, obtaining payment and dealing with plan administrators can prove challenging. In these situations, you need an experienced Milpitas life insurance claims attorney on your side. At Kantor & Kantor, LLP, we provide the compassionate client service and professional legal representation you need during this difficult time, to get the benefits to which you are entitled. According to the Bureau of Labor Statistics (BLS), roughly 85% of private industry workers obtain life insurance benefits through an employer-sponsored plan. While these benefits can provide a safety net for families when a loved one passes, getting the insurance company to pay can prove challenging. Denials based on improper paperwork or lack of information. Breach of fiduciary duties on the part of plan administrators in keeping up with policies. 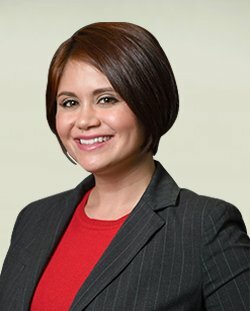 When you are involved in disputes with employers or their insurers over denied, delayed, or disputed life insurance claims, Kantor & Kantor, LLP acts as a strong legal advocate on your side. In California, as in other areas, life insurance and other benefits for most private industry employees are covered under the Employee Retirement Income Security Act of 1974 (ERISA). Filing a lawsuit to get you the life insurance benefits to which you are entitled. When it comes to obtaining the life insurance benefits you are entitled to after a loved one’s passing, Kantor & Kantor, LLP provides the trusted legal guidance you need. Reach out and contact our Milpitas life insurance attorney and request a free consultation to discuss how we can help you today.